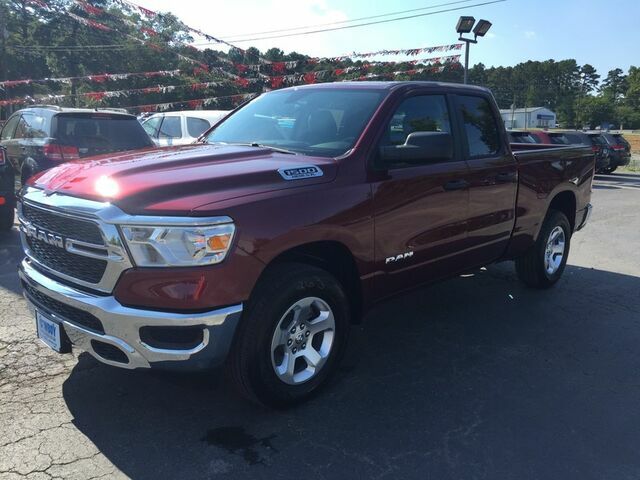 Contact Cowboy Chrysler Dodge Jeep Ram today for information on dozens of vehicles like this 2019 Ram 1500 Tradesman. With 4WD, you can take this 2019 Ram 1500 to places roads don't go. It's all about the adventure and getting the most enjoyment out of your new ride. The look is unmistakably Ram, the smooth contours and cutting-edge technology of this Ram 1500 Tradesman will definitely turn heads. You can finally stop searching... You've found the one you've been looking for. You've found the one you've been looking for. Your dream car.